The Browne 5724174 Thermalloy® paella pan’s handles are oversized for comfort and are hollow to keep cool as the pan heats. The handles are attached with rivets, which ensures their strength and stability, especially for extended use. 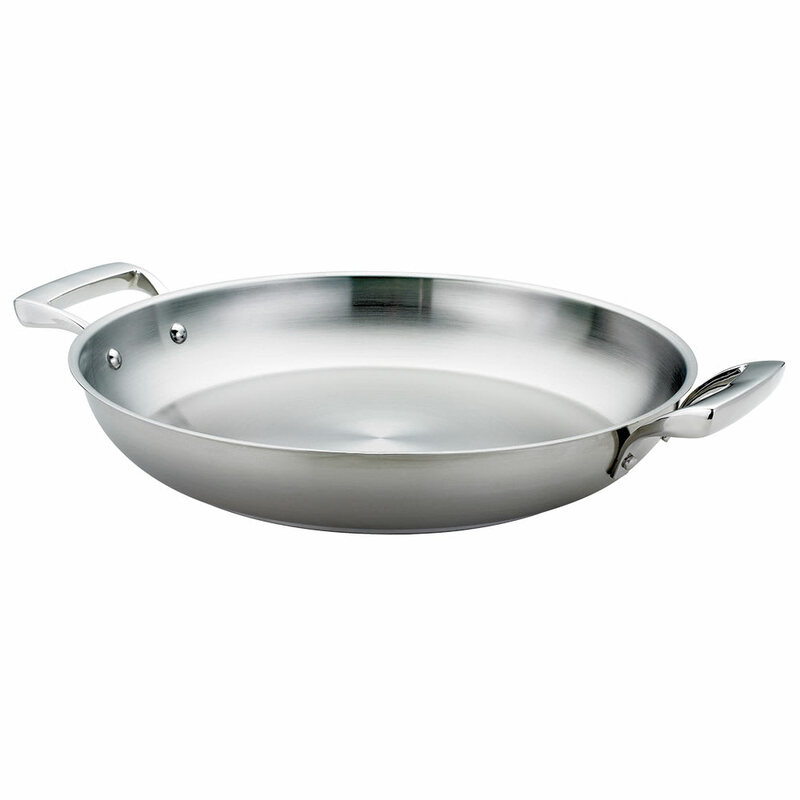 Since the pan is constructed of stainless steel, it is durable for heavy duty use in commercial kitchens. It can be used with ceramic, electric, gas, halogen, and induction cooking. With the 1⁄4-inch thick disk base, the Browne 5724174 Thermalloy paella pan has even heat transfer to ensure product is cooked evenly.